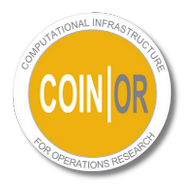 COIN-OR and the Institute for Mathematics and Analysis at the University of Minnesota are sponsoring a week-long “Sprint” to develop a replacement for the MPS standard. The main goal is to develop a standard that separates model from data. This is, of course, a good idea — but there are devils in the details. To find those little devils, we are going write sample code to implement some basic methods. We are accepting applications to attend the Sprint in person. IMA will fund most if not all of your travel. We are a bit tardy in issuing this invitation. We invoke the usual “volunteer-supported open source project overworked leadership” indulgences. Please respond quickly! It will be a fun time and we will be kicking off a valuable contribution to the community.